Kobelion is derived from the combination of Kobe Steel Group's trademark "Kobelco" and "Lion". We select the king of all animals-the lion, as the series name, because we can provide customers with the newest choices and get their trust. Proven high reliability isn't a transient glory, but a permanent value beyond era and nations. It represents various beginnings of the prelude to the ballrooms. With the combination of our rich experience and very latest technologies, new "SG series" is now added to our "Kobelion" brand which is the most reliable one on the market today. "SG series" is not only high-efficient, user-friendly, but with an outstanding reliability will satisfy and ensure your everyday productivity. It's not easy being an original. 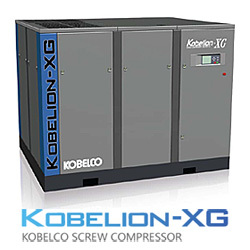 At a time when big and heavy compressors dominated customer's production, the XG made its debut with its big air-discharge volume. It delivered remarkable efficiency and capability-something it still provides to this day. A working experience that's made it one of the world's most available big power. We call that giving you an extra. That's the Power of Japanese Engineering. Two-stage compressor is equipped for energy saving, reducing life-cycle cost and improving reliability. 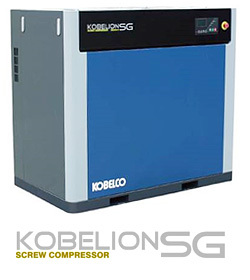 It can achieve 9-34% higher efficiency compared with single-stage oil-free screw compressor. 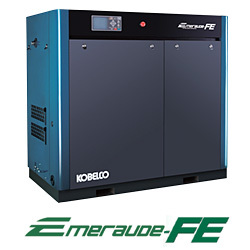 KOBELCO Oil-free Compressors offer extremely high efficiency with superior specific power consumption, the energy saving index for compressors. This is just as "Eco-car" becomes popular for its low CO2 emission and low fuel consumption. Superior capability can save more energy, and all the user can take large benefit from that as minimizing compressor life-cycle cost. 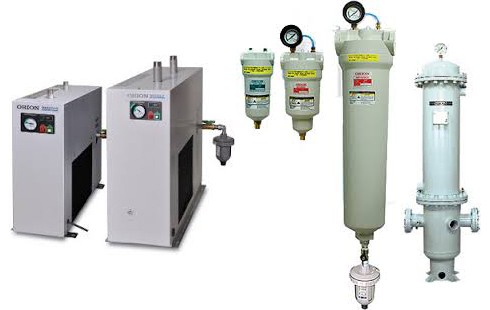 Air compressed system consists of various kinds of equipment to ensure clean air. Oil, dust and drain water may damage on user’s production. KOBELCO selects necessary equipment according to factory condition and request. Line up of us can be applied to all types of requirement. 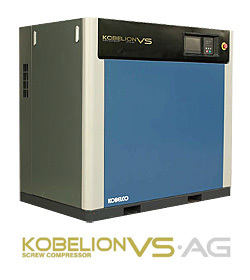 As you know, compressor consumes big energy and requires users to pay its cost. 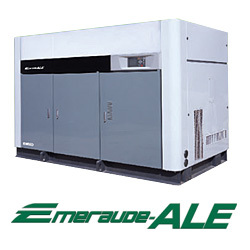 Then, optimization of compressor’s work will be one of the most important point for factory. We provide “Group Controller” to reduce the number of working compressor to cut electricity cost. 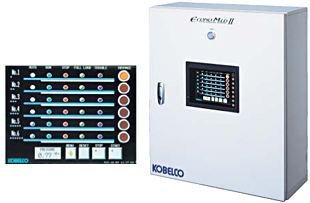 This technology is made by our headquarter KOBE STEEL LTD. to commit to our customers.